In case you missed it (we're sure you didn't), July 19th was National Ice Cream Day. We celebrated it Shari's Berries style with a delicious dipped party. And, of course, everyone was invited. We hosted an awesome ice cream sundae social inspired by our ice cream sundae bar DIY and invited our favorite bloggers to put on a sundae party of their own. With our Summer Scoop Strawberries on hand, everyone joined the fun with their own custom sundaes. Below are some of our favorite sundae pics. 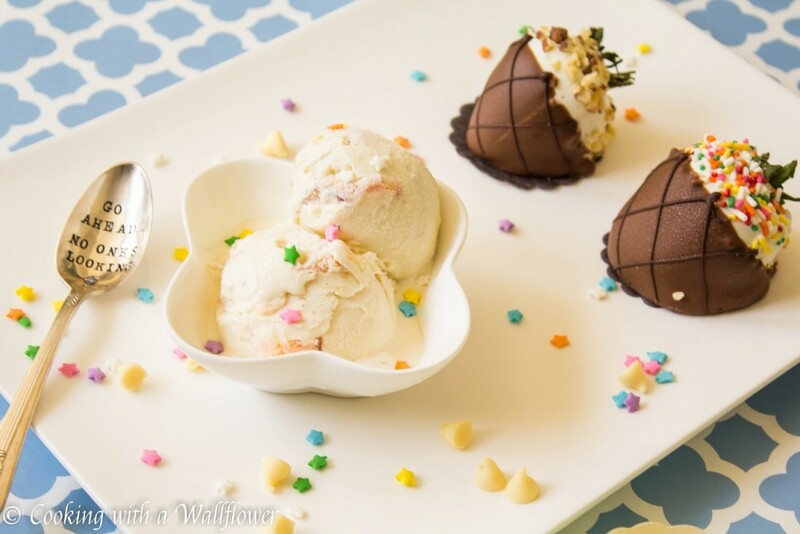 Instead of classic chocolate or vanilla, Andrea from Cooking With a Wallflower got fancy and made jasmine green-tea-infused ice cream with sweet peaches. You can find her recipe here. Kelly and Zoey of Le Zoe Musings celebrated the only way they know how—in style! Read more about their sundae celebrations here. Diane from My Life as Robin’s Wife paired her strawberries and ice cream with nuts, sliced bananas and freshly picked blackberries. Nothing says “summer” like ice cream and fresh fruit. Take a peek at her sundae party post. Angela of Writer Mom Blog went with a traditional vanilla-chocolate banana split. Doesn’t it look delicious? Her family couldn’t wait to dive in. Get all the details in her post. Linsey of Lille Punkin’ skipped the bowl and served her homemade rum butter pecan ice cream in a waffle cone. It pairs perfectly with caramel sauce. See more pictures from her sundae party. Did you celebrate National Ice Cream Day this year? Be sure to tag @sharisberries on your Instagram photo and add #NationalIceCreamDay!